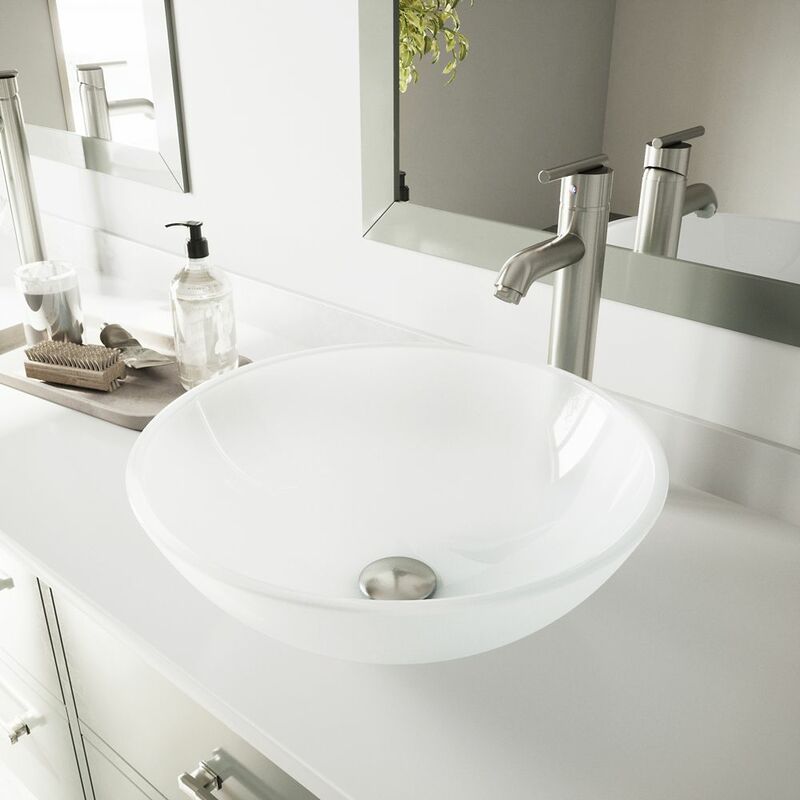 Glass Vessel Sink in White Frost with Faucet in Brushed Nickel is rated 4.7 out of 5 by 21. Rated 5 out of 5 by Tammy from My Vigo sink looks amazing!!! It was delivered in pristine... My Vigo sink looks amazing!!! It was delivered in pristine condition. Home Depot is my favorite home store! Rated 5 out of 5 by Pops from Easy to install, directions online. With granite and paint transformed dull hall bathroom in con... Easy to install, directions online. With granite and paint transformed dull hall bathroom in condo to something to really like. Rated 5 out of 5 by LovinAZ from Beautiful sink! Amazing packaging and this includes everything you need for installation! Just what we were looking for during a remodel of our guest bathroom. Rated 2 out of 5 by ZEN from Packaged terrific. Great product.looks beautiful.... Packaged terrific. Great product.looks beautiful. Rated 4 out of 5 by Bathupdate from Very pretty, looks as nice as it did online. ... Very pretty, looks as nice as it did online.